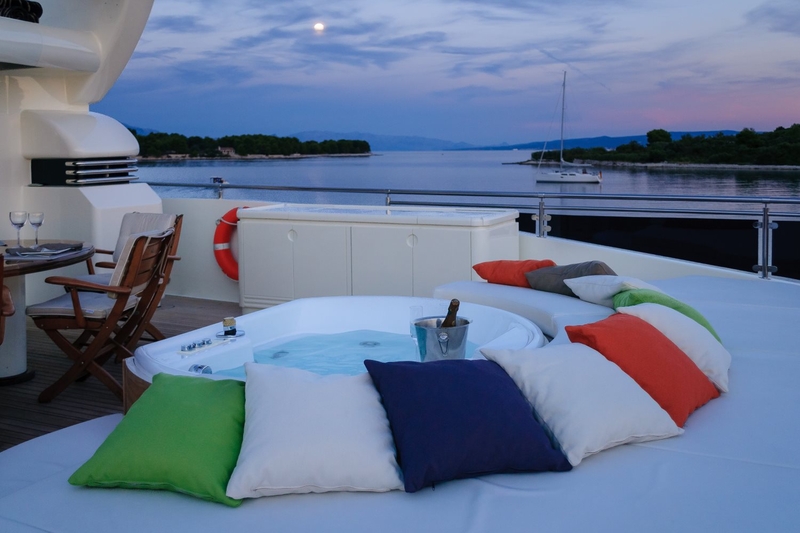 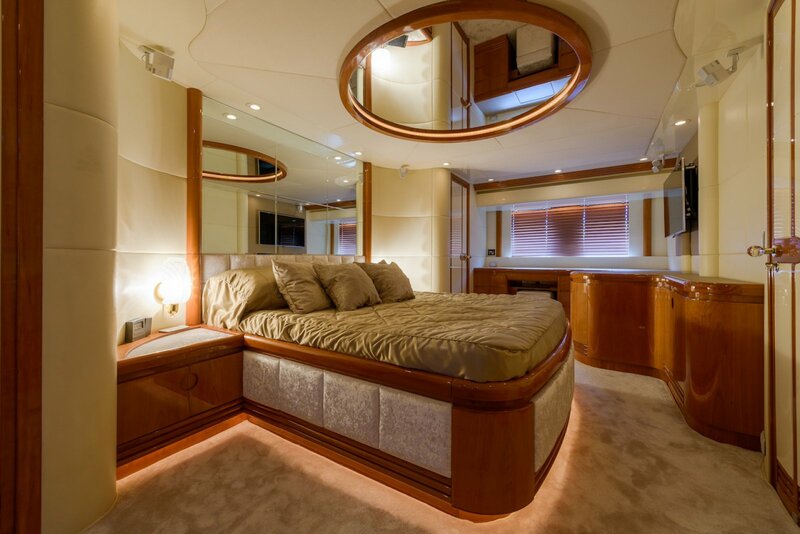 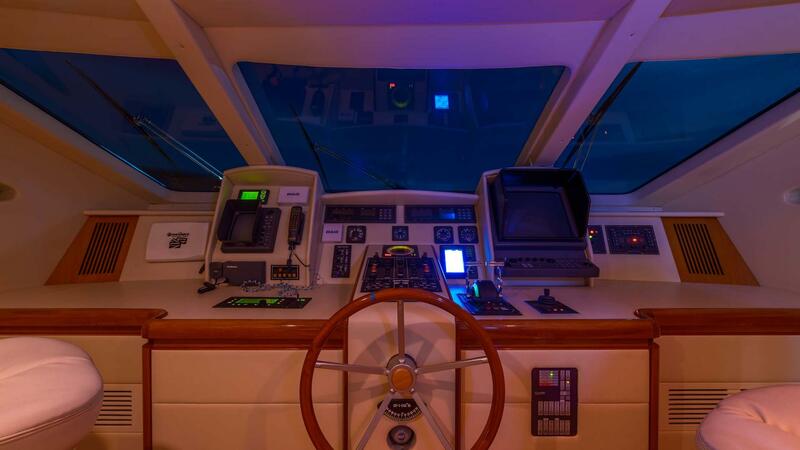 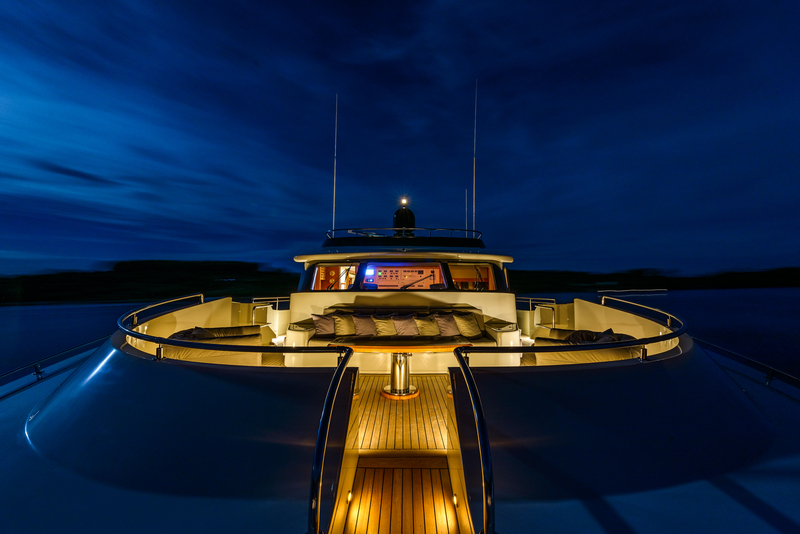 Luxury motor yacht NOVELA is a CBI Navi 30.6m (100ft) deluxe crewed charter yacht. 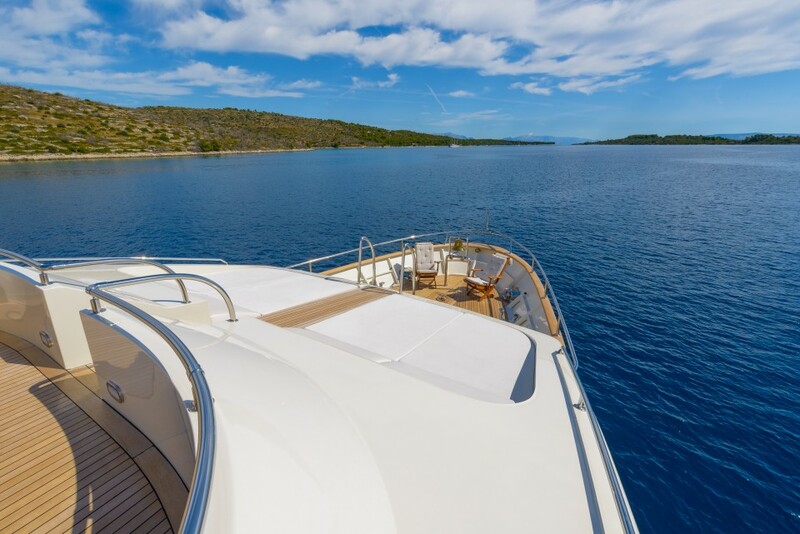 Having received a full refit in 2013, NOVELA boasts a soothing elegant décor and well-appointed layout, thoughtfully redesigned, offering versatile accommodation. 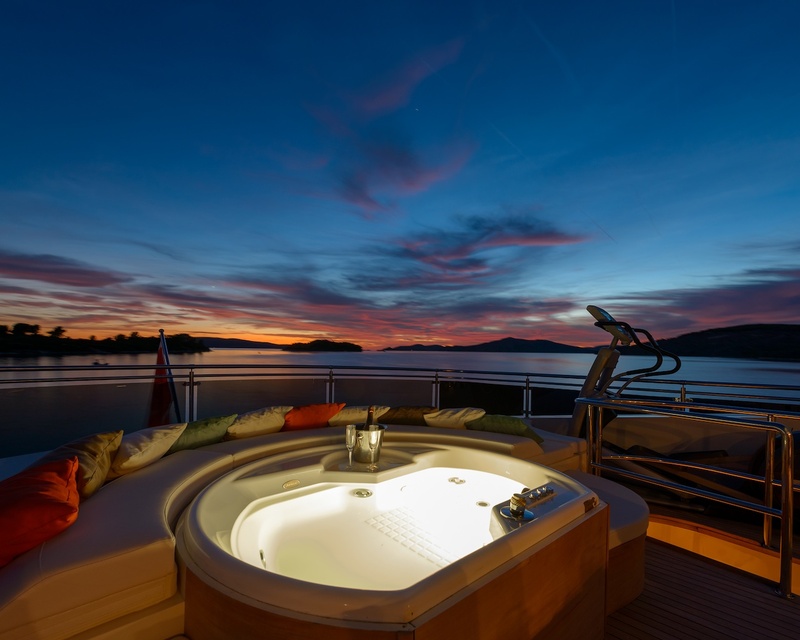 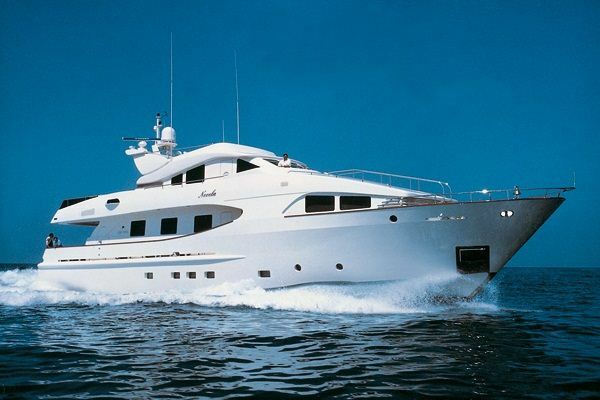 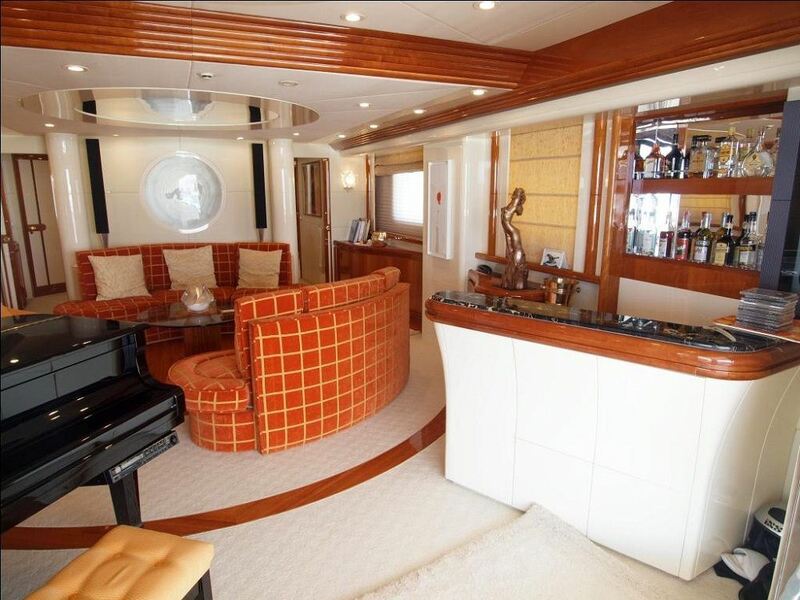 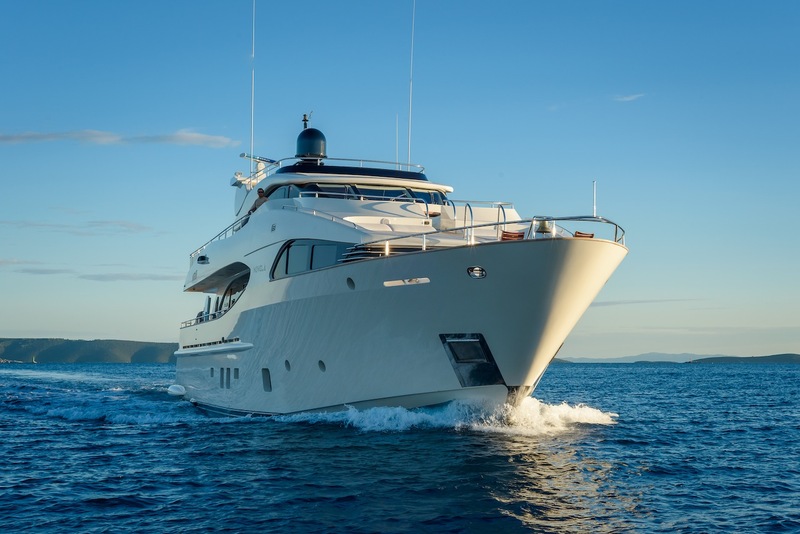 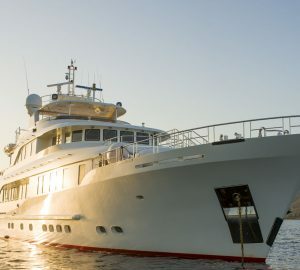 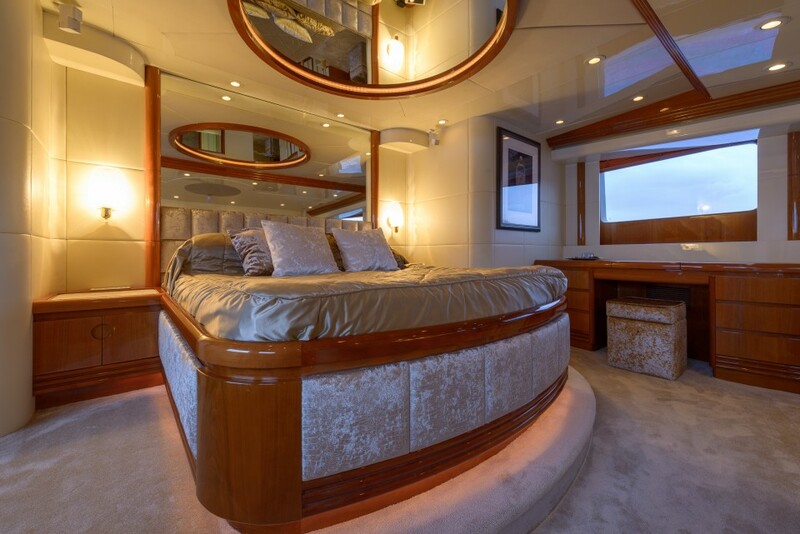 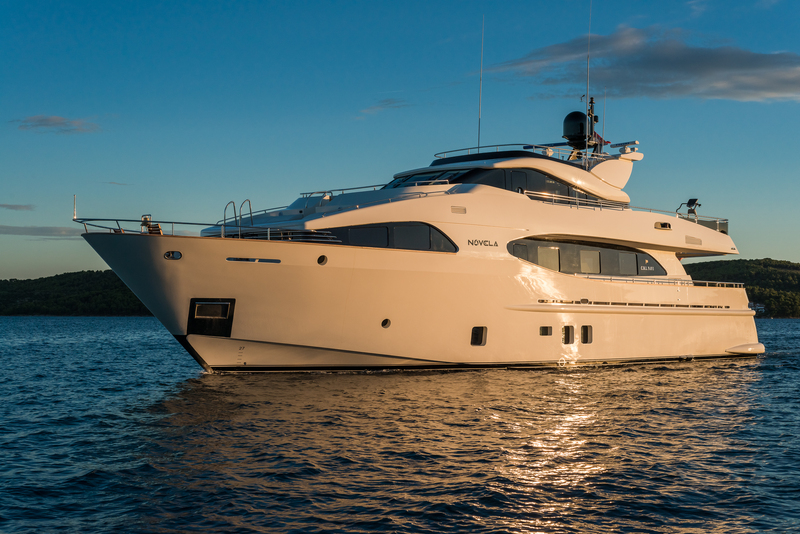 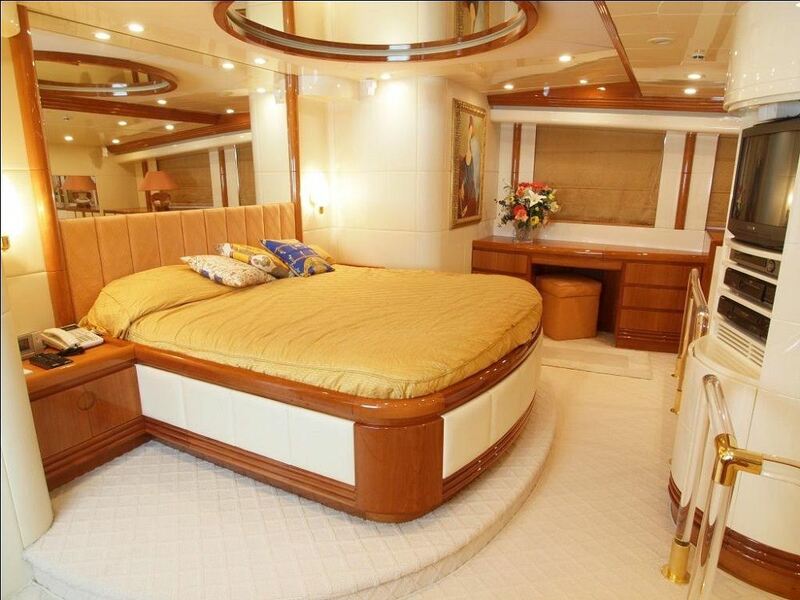 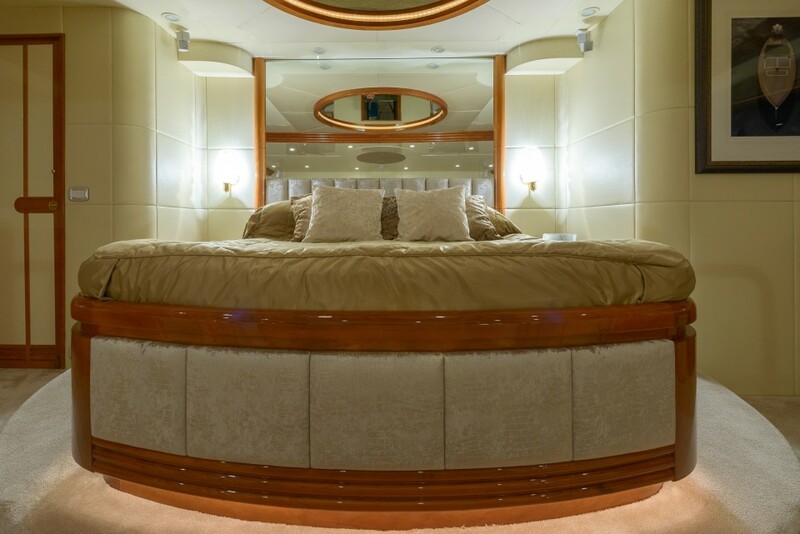 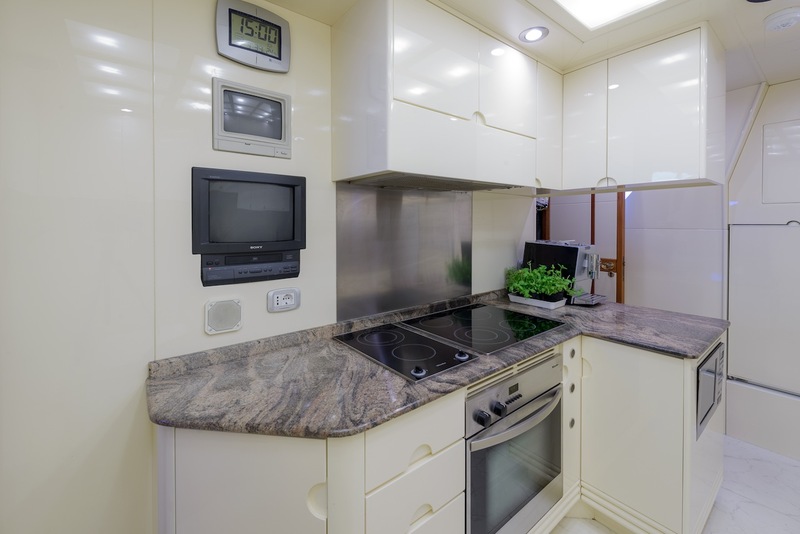 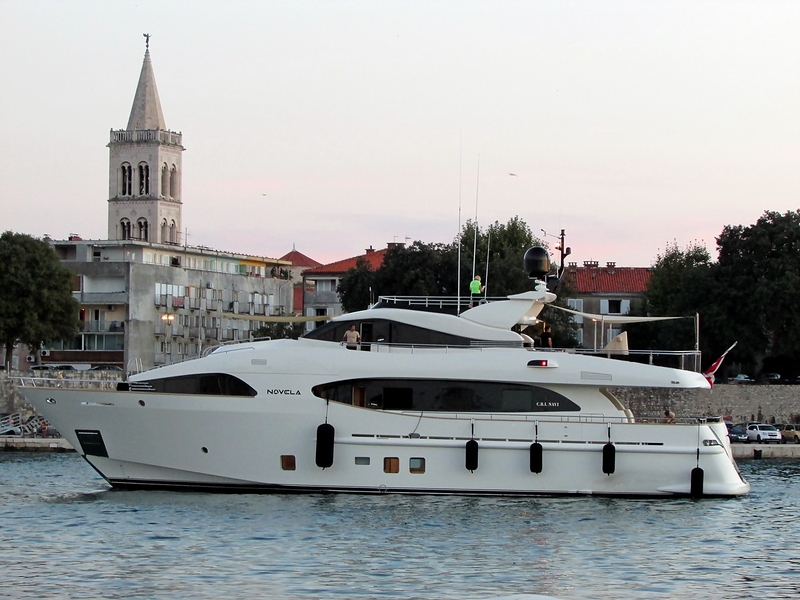 She features 4 cabins for up to 8 charter guests. 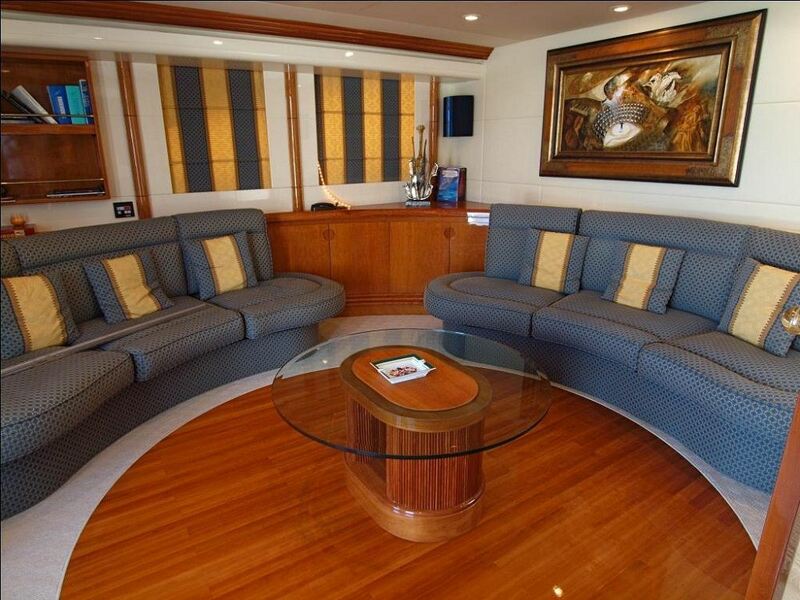 The interior is generous and boasts state of the art entertainment facilities. 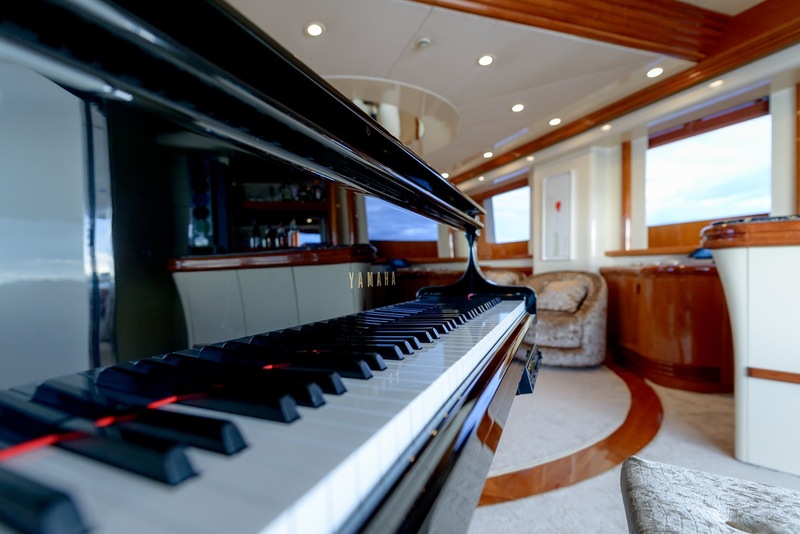 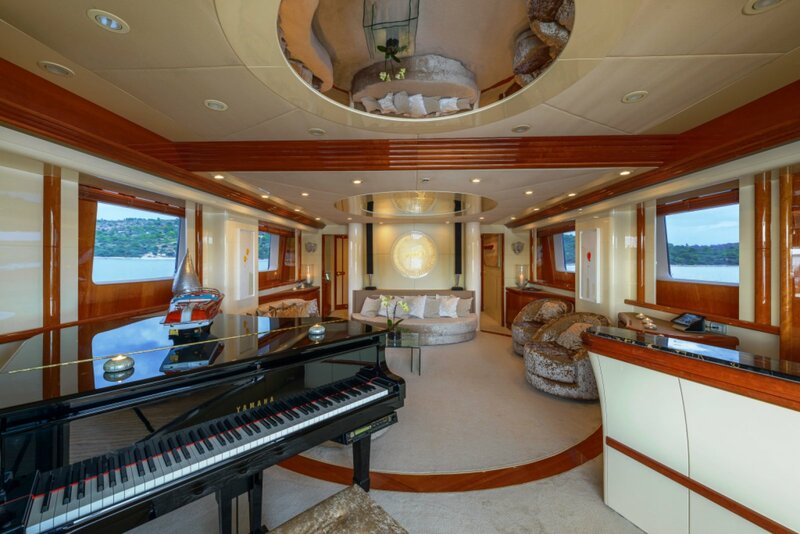 The salon is on the main deck with a large sofa, coffee table and occasional chairs, in a sumptuous crushed velvet texture, a Grand Piano exudes a classy ambience. 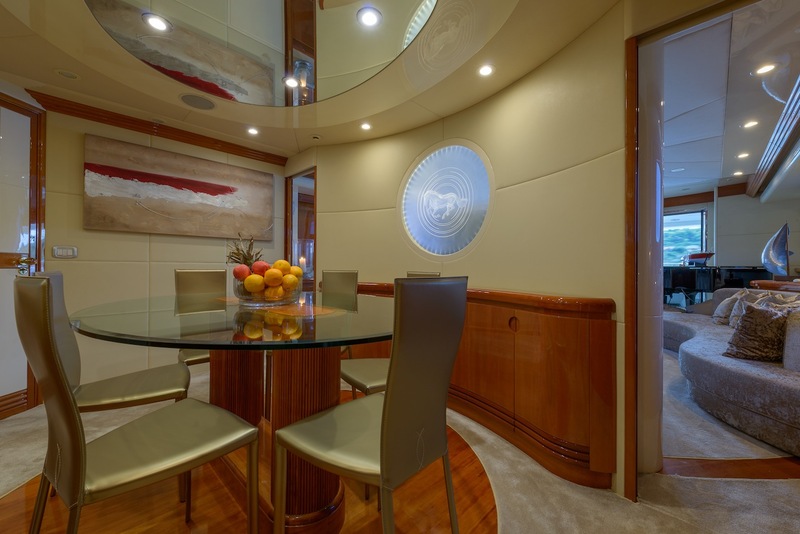 Forward and separated by custom engraved glass art, is the formal dining area. 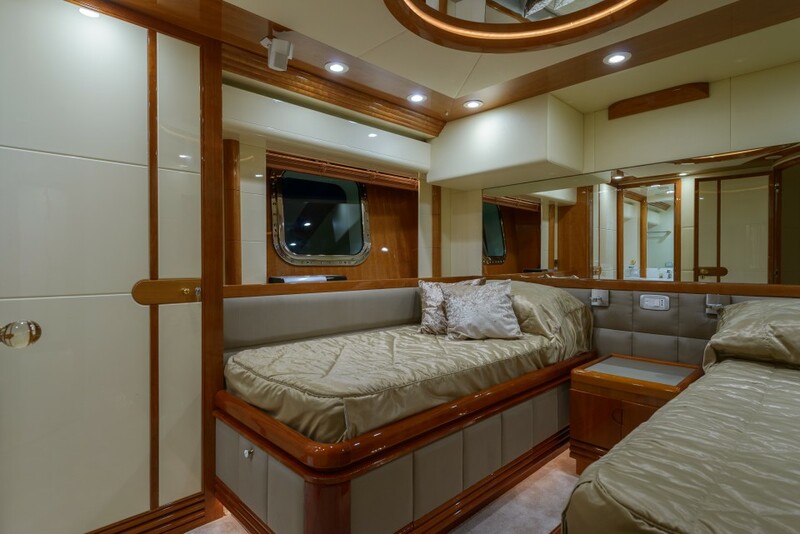 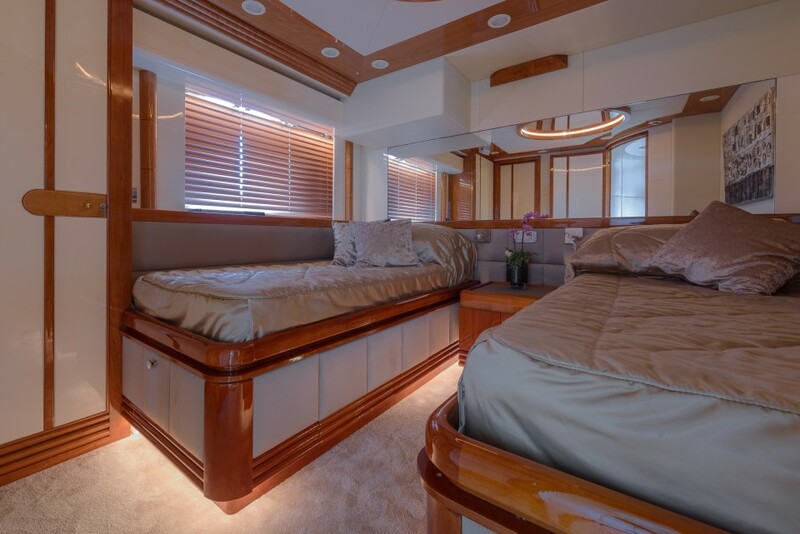 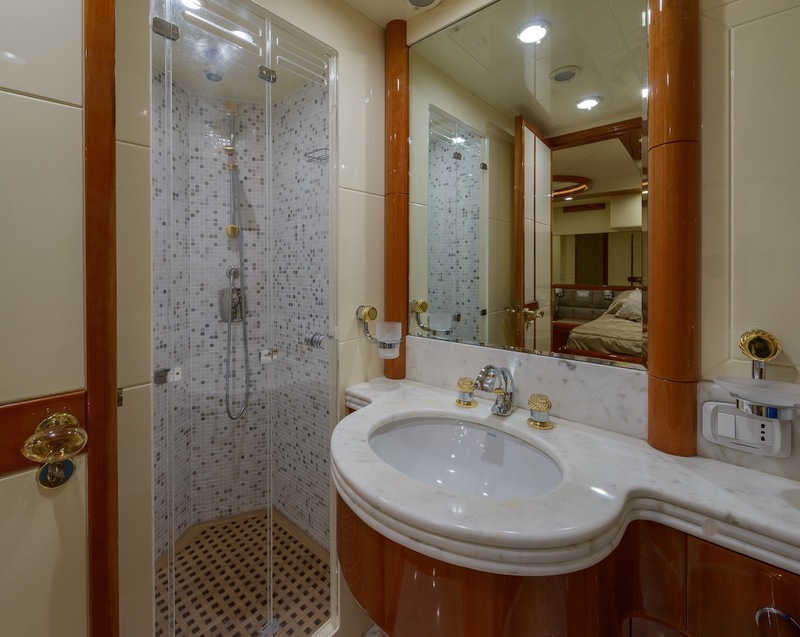 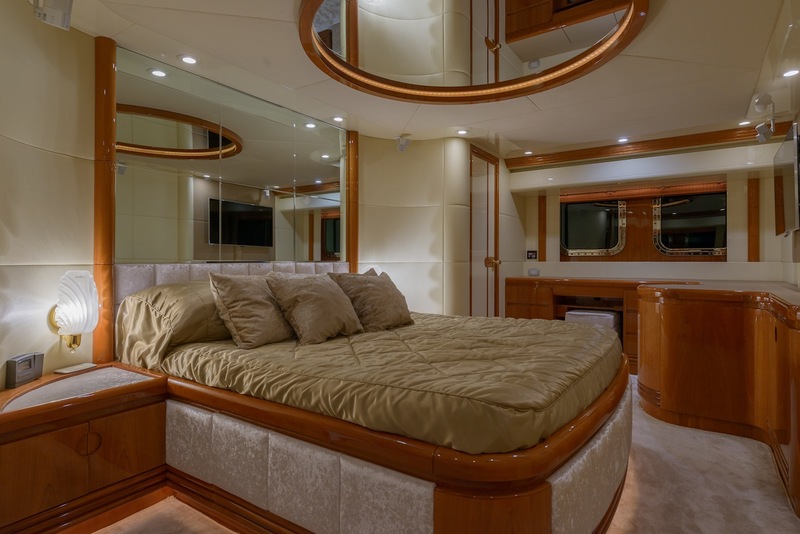 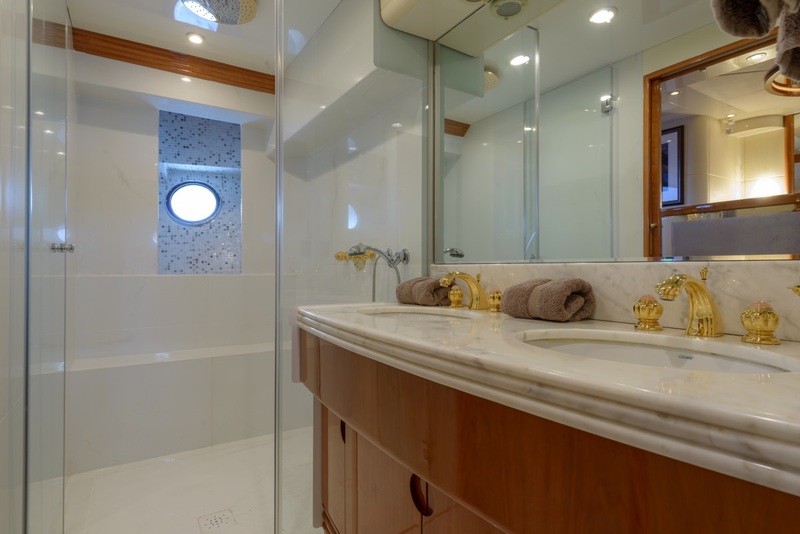 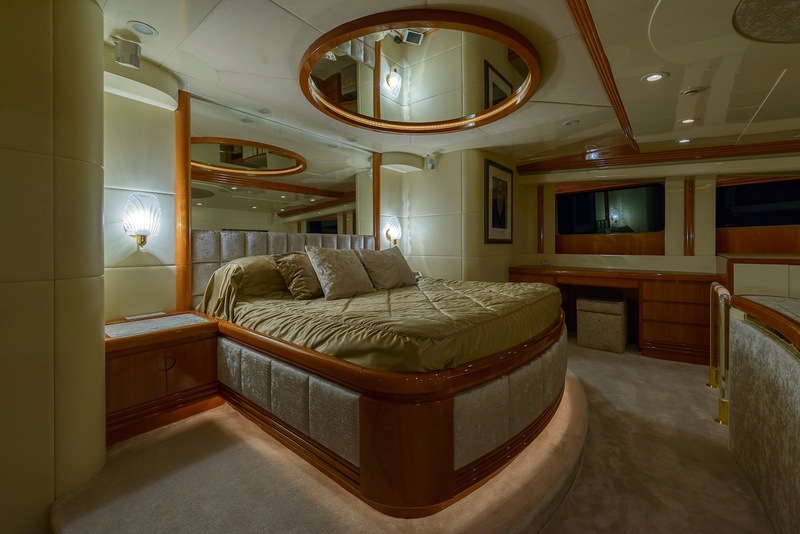 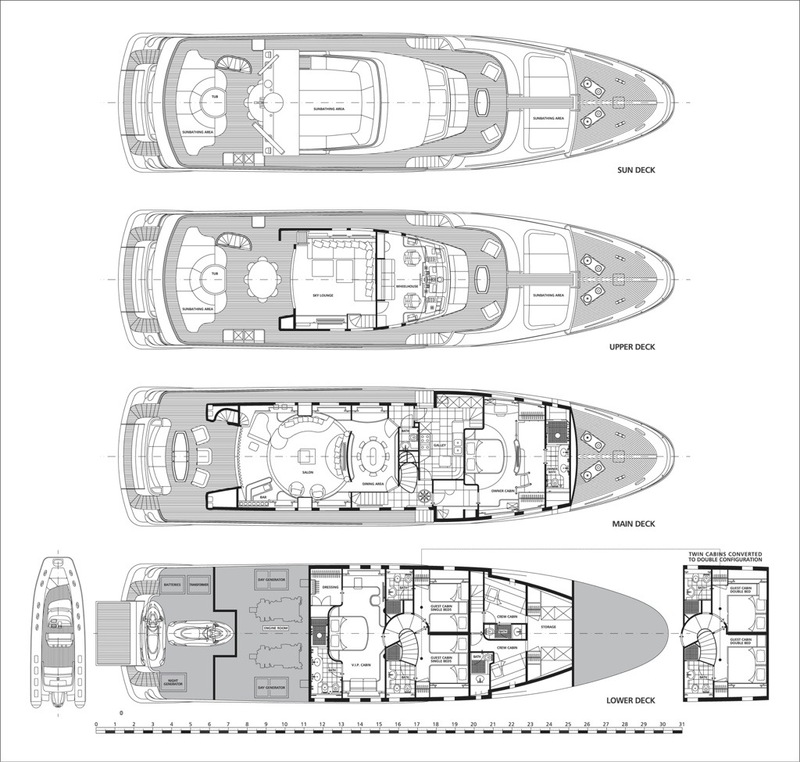 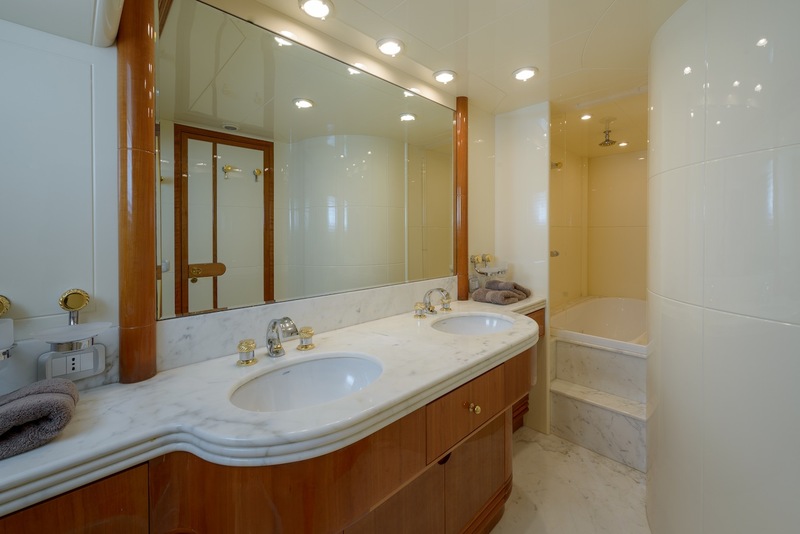 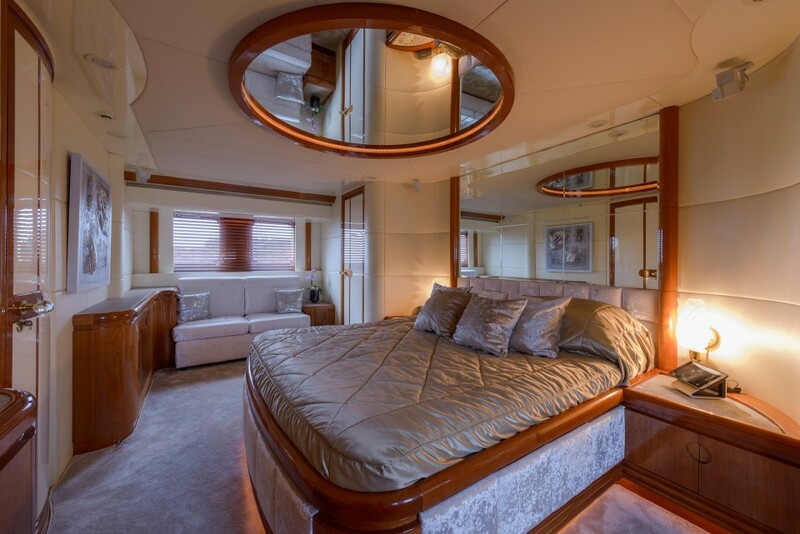 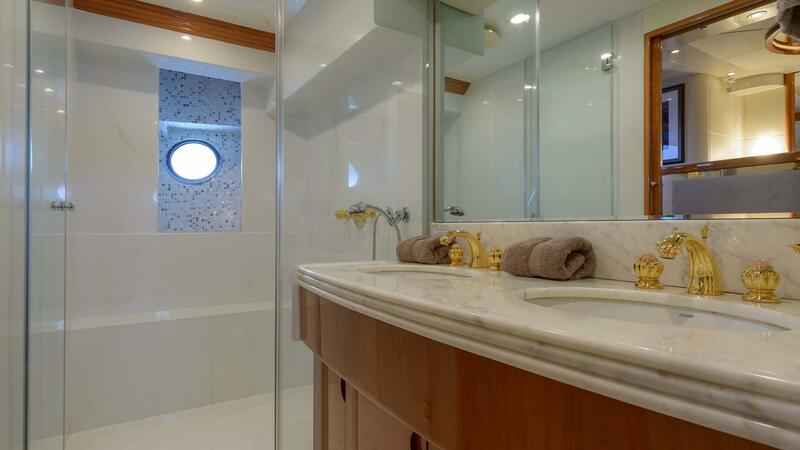 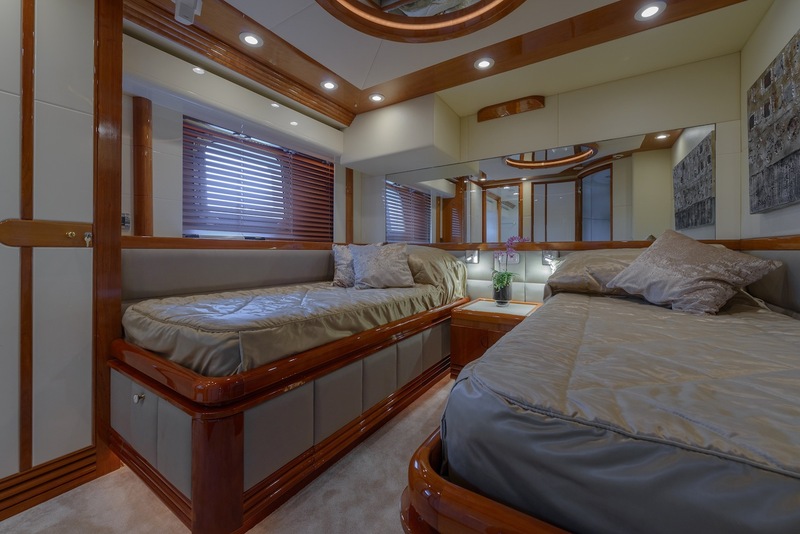 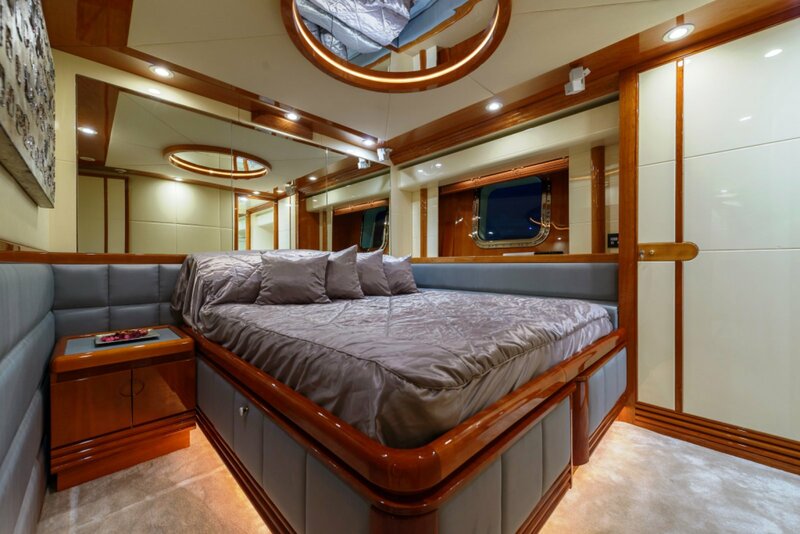 The marble foyer amidships, offers a stairwell to 3 spacious guest cabins on the lower deck, while on the main deck, the master suite enjoys a full beam, split level stateroom forward. 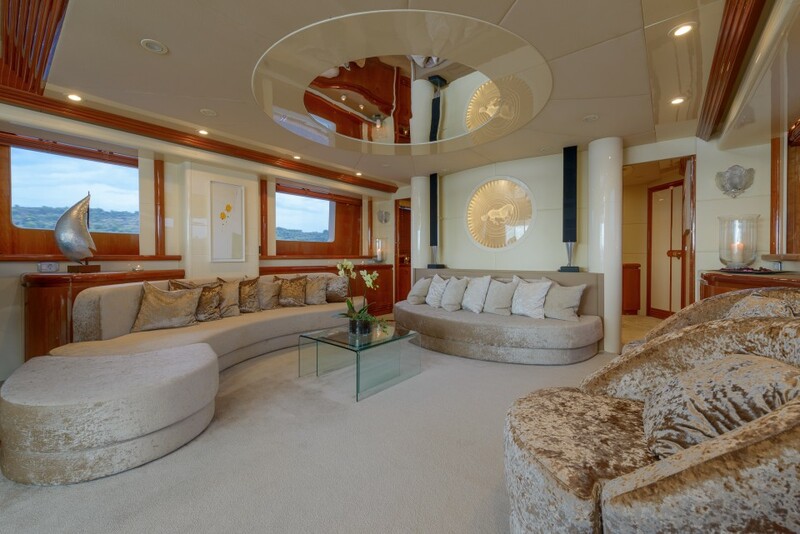 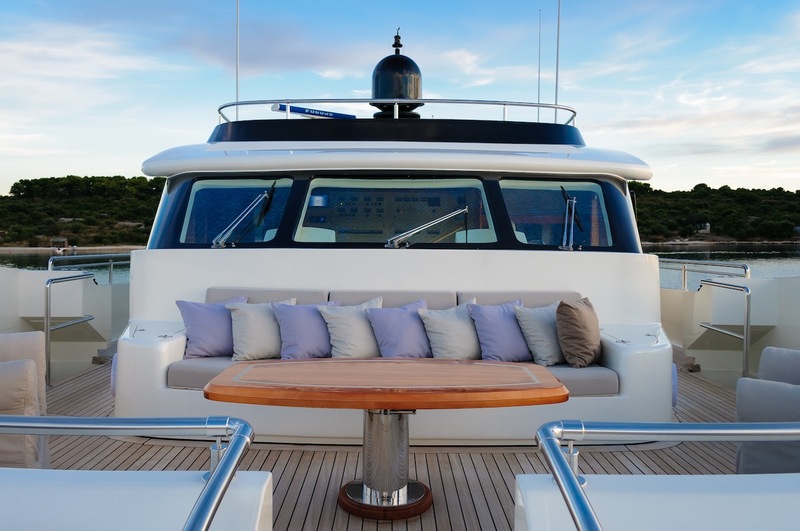 She features an upper sky lounge with an L shaped sofa, seating and full entertainment. 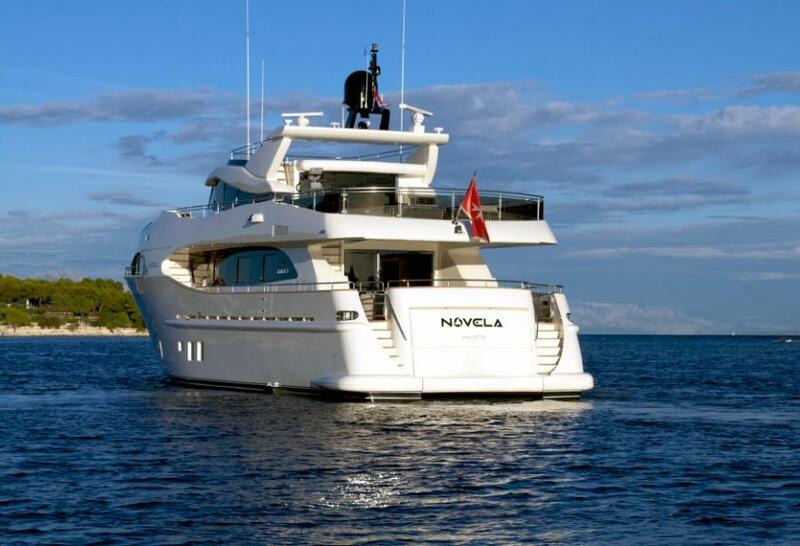 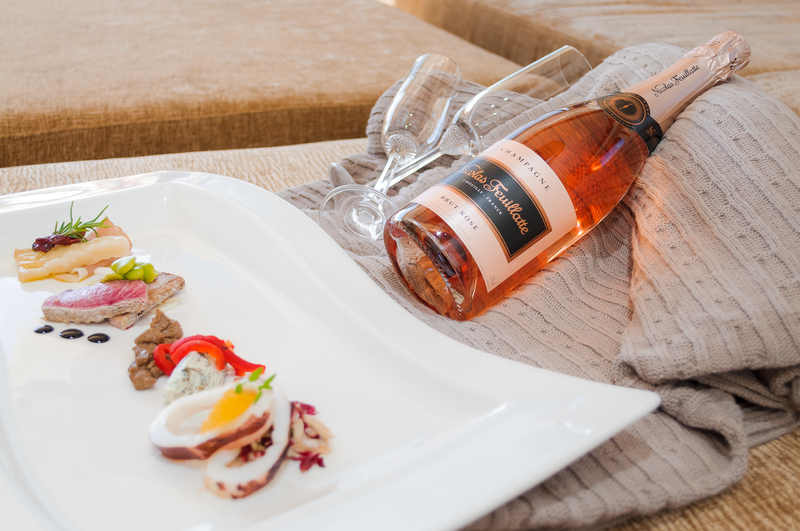 NOVELA offers ideal exterior living, to make the most of the sunny and warm destinations. 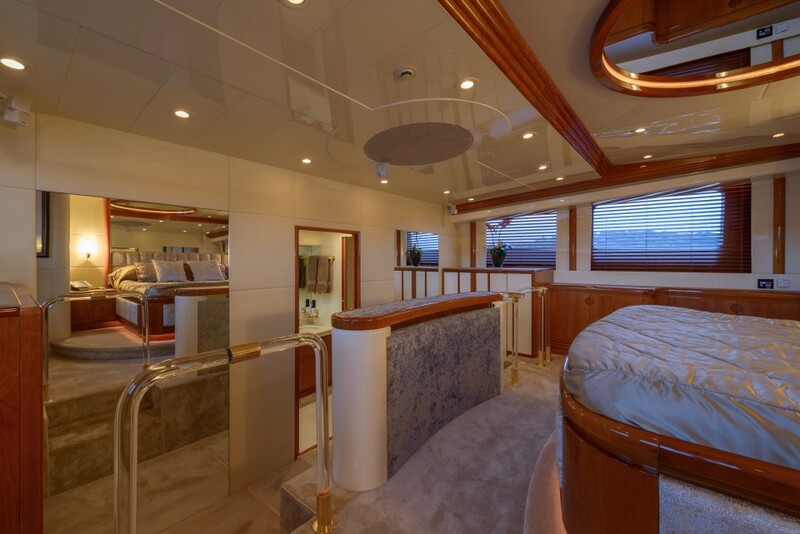 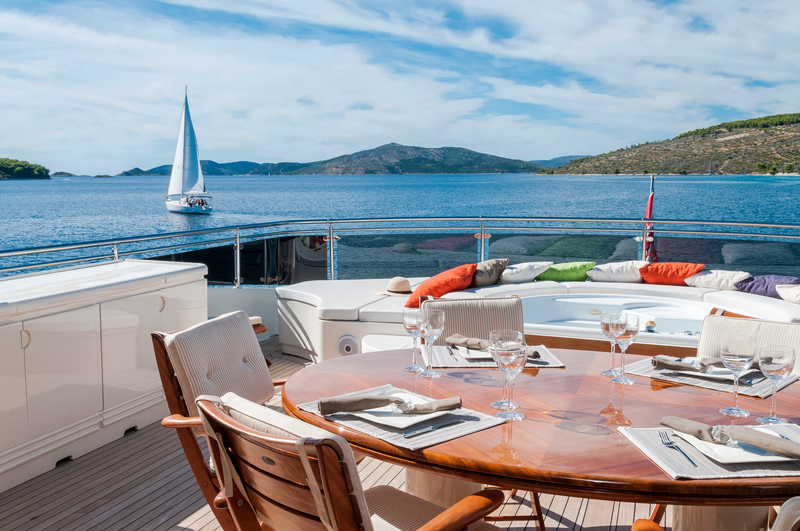 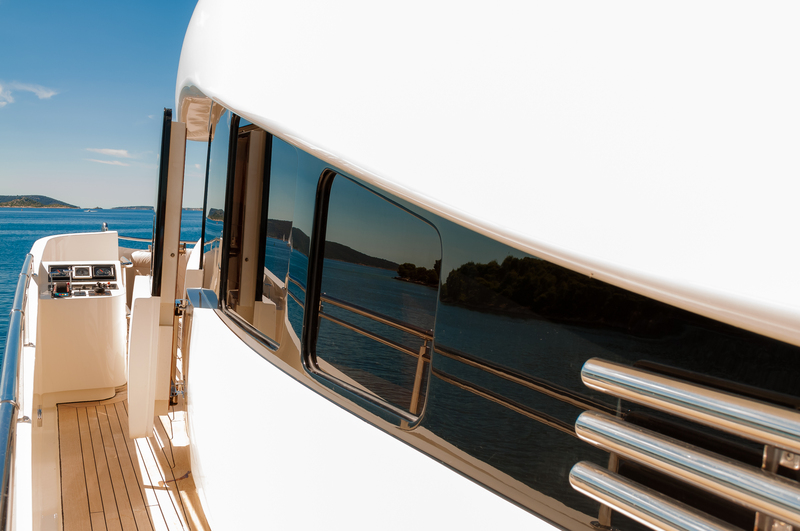 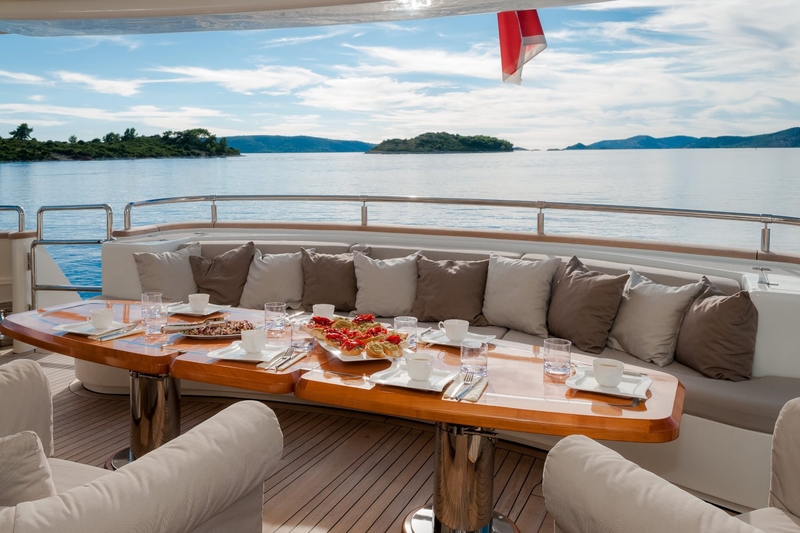 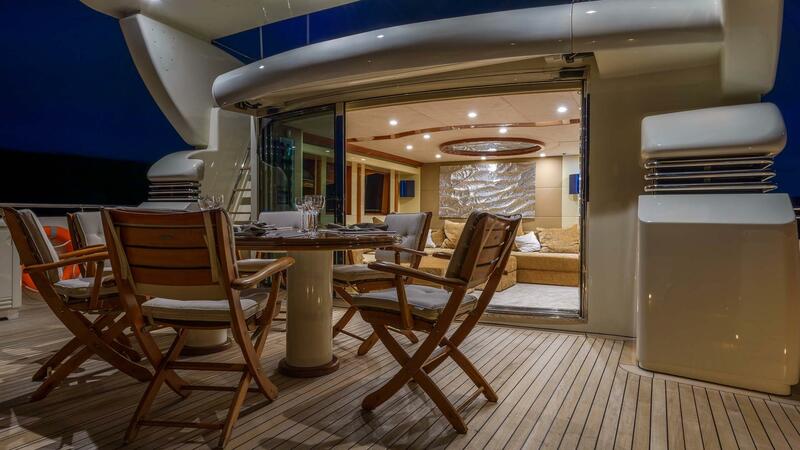 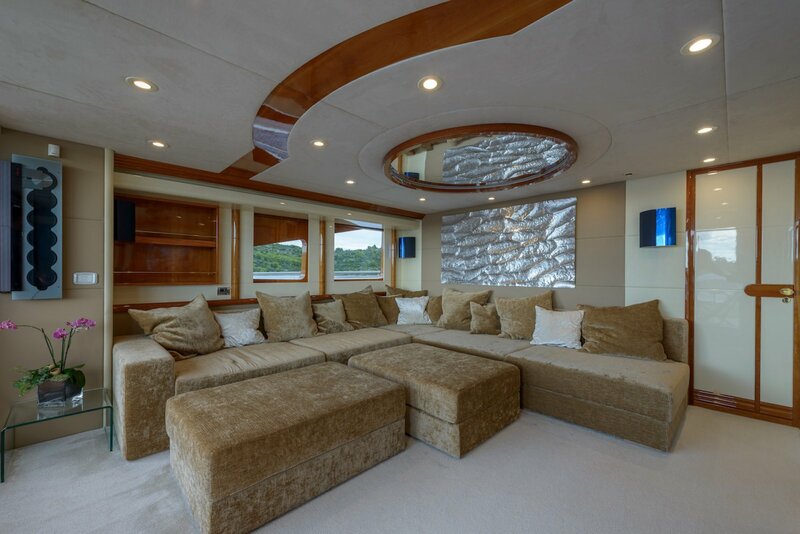 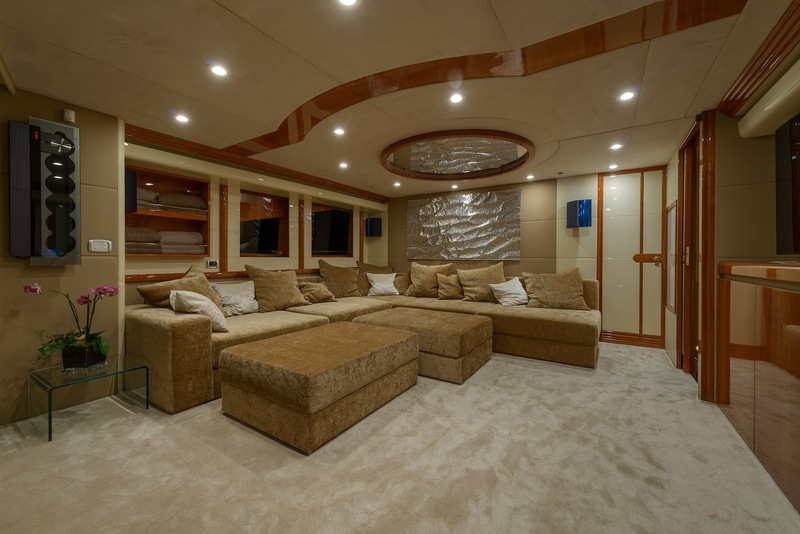 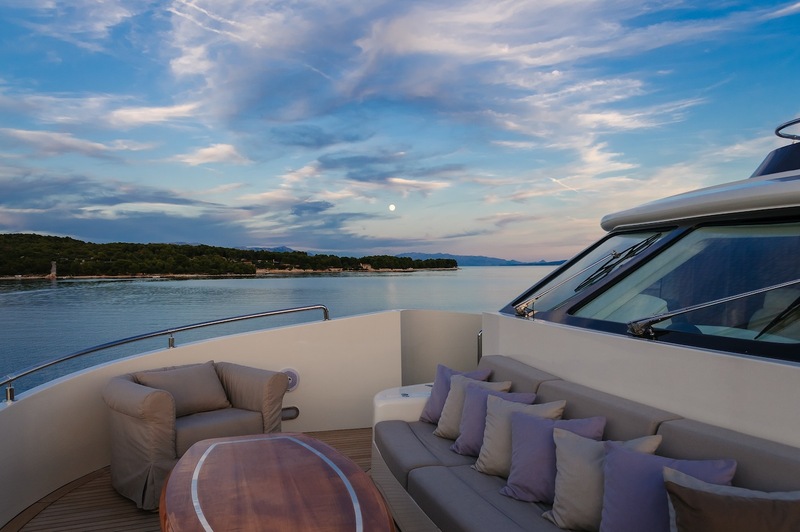 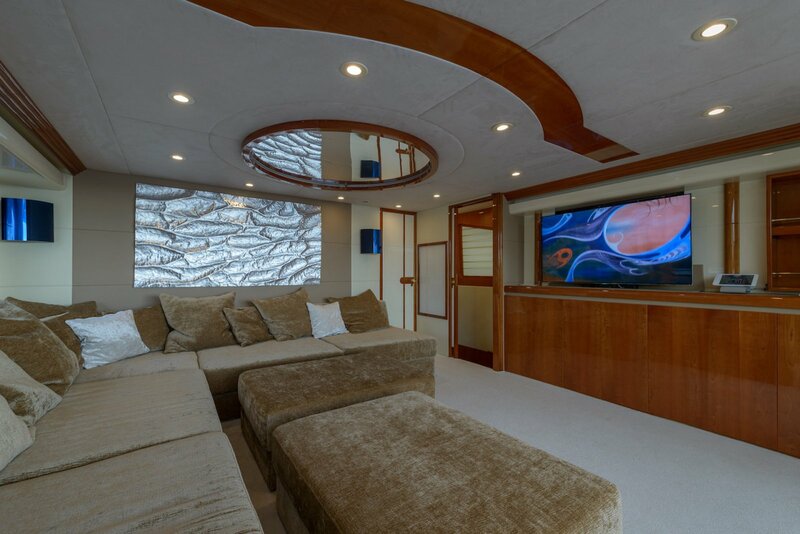 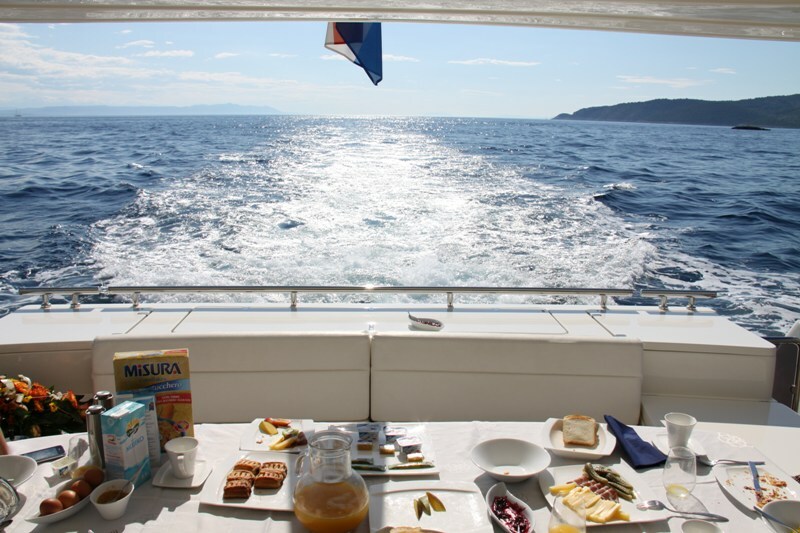 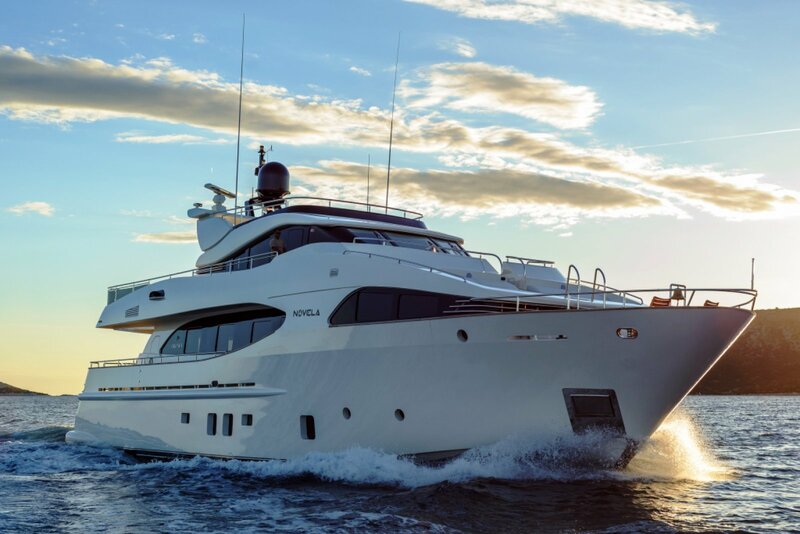 The salon leads out through sliding glass doors onto a spacious aft deck, with plush cocktail seating and convertible tables, allowing for casual entertaining or elegant alfresco dining. 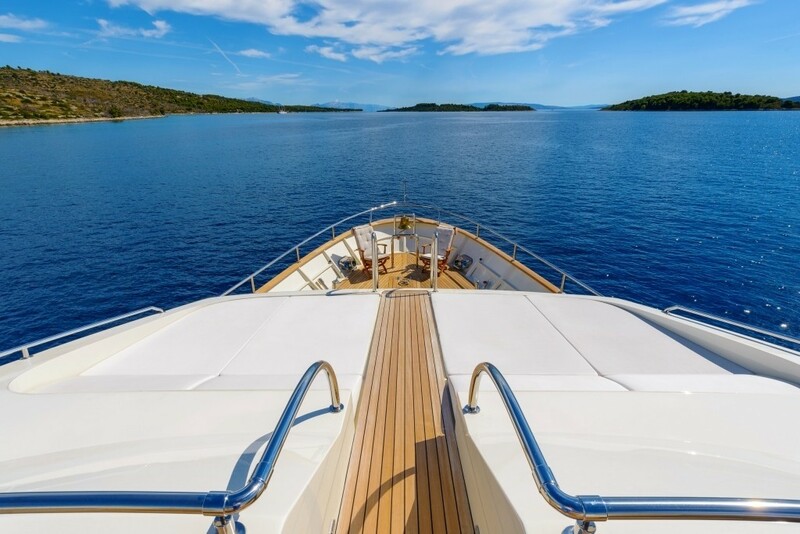 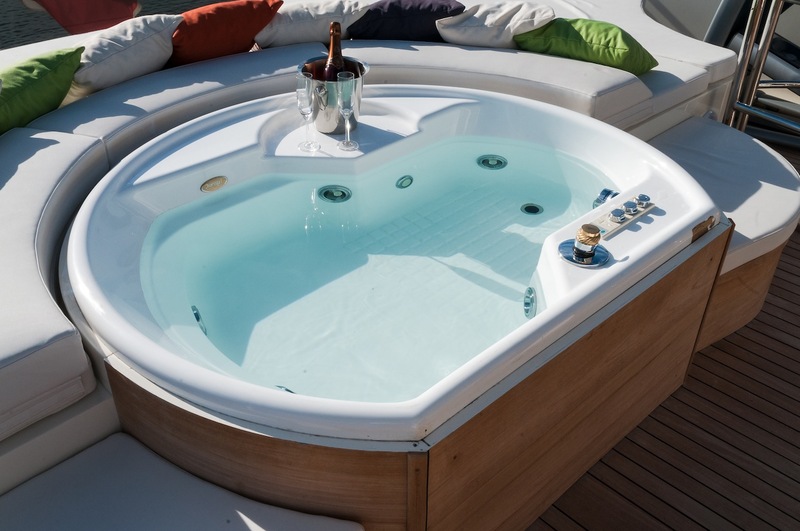 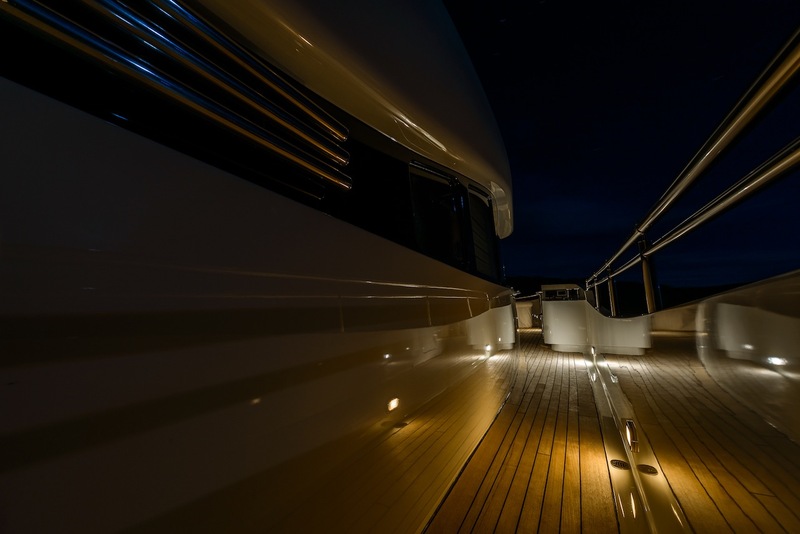 Above, the sky lounge gives access to the upper aft deck, complete with further alfresco dining, luxurious Spa Pool tub and ample sun pad, wrapped around the Spa Pool. 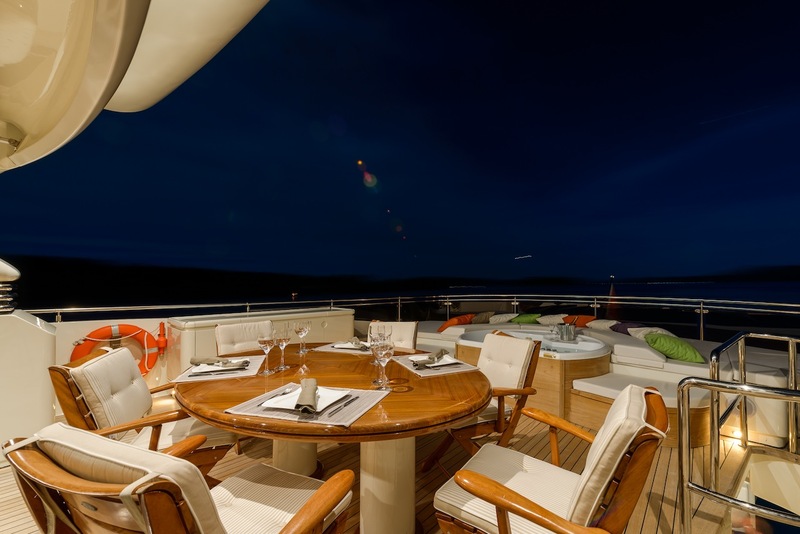 The upper deck boasts a further seating and cocktail area forward of the pilot house, great for evening aperitifs. 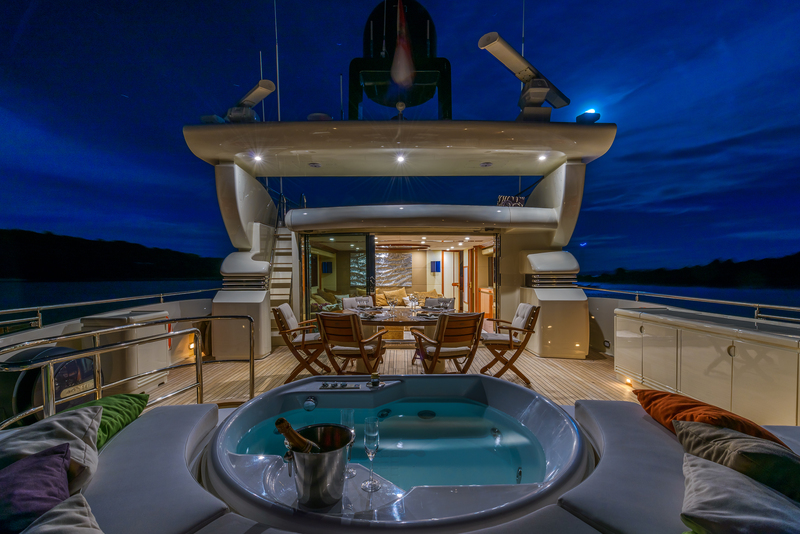 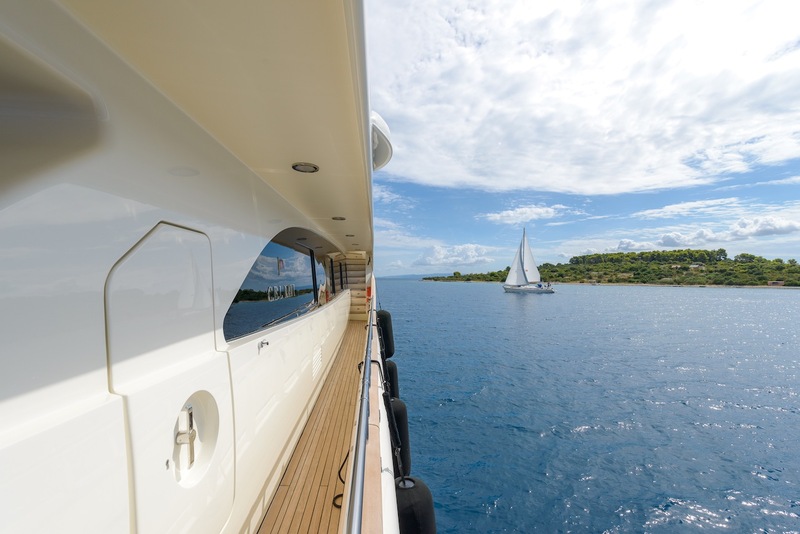 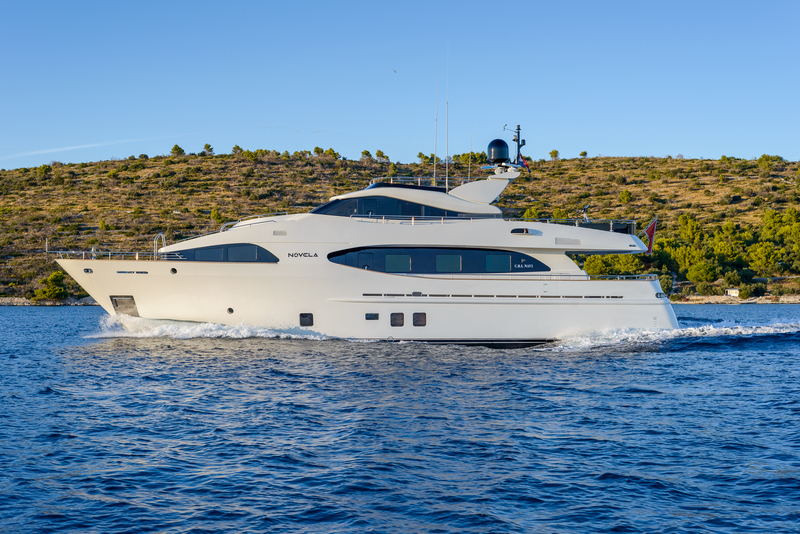 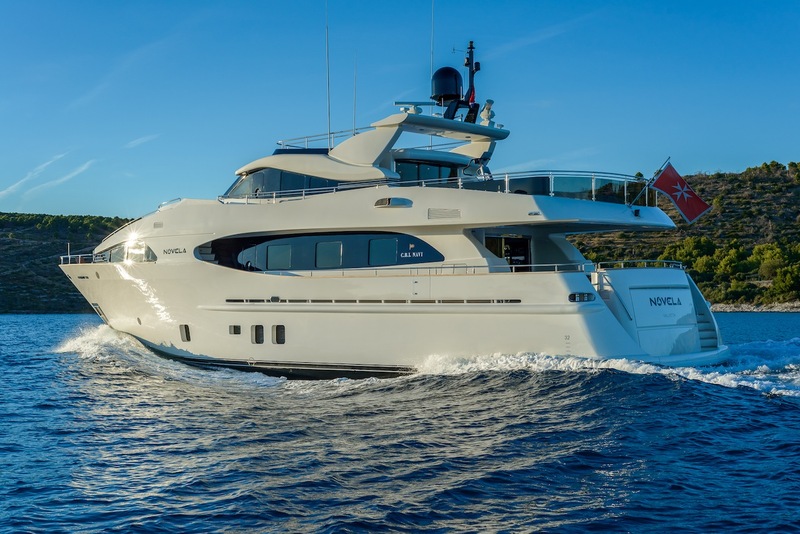 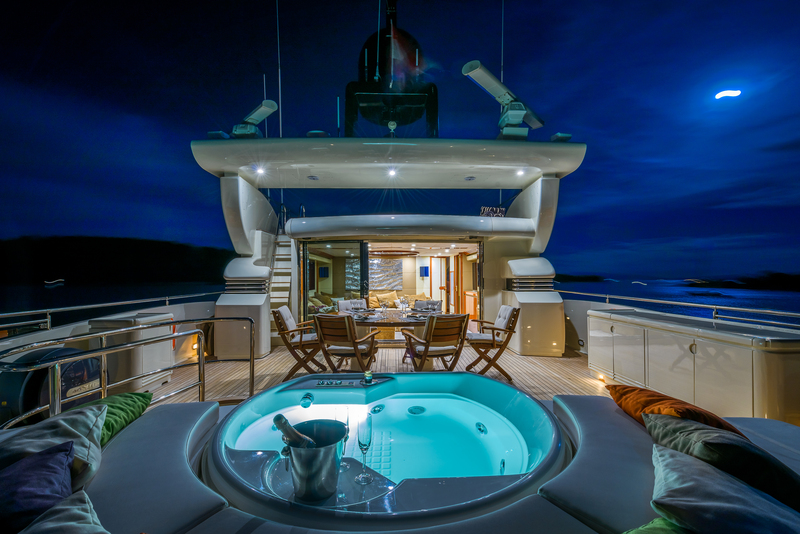 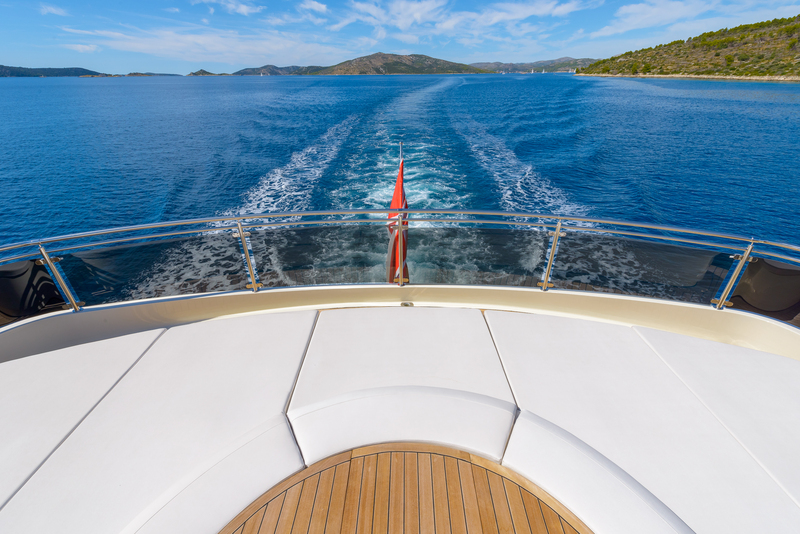 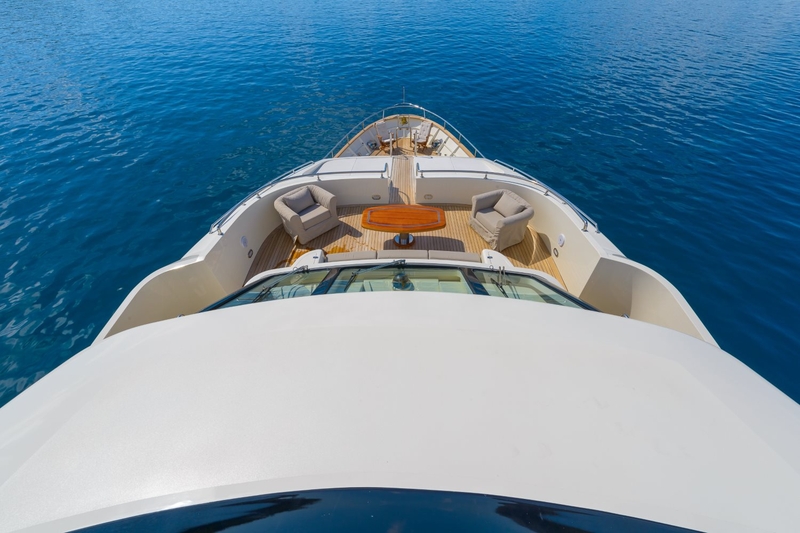 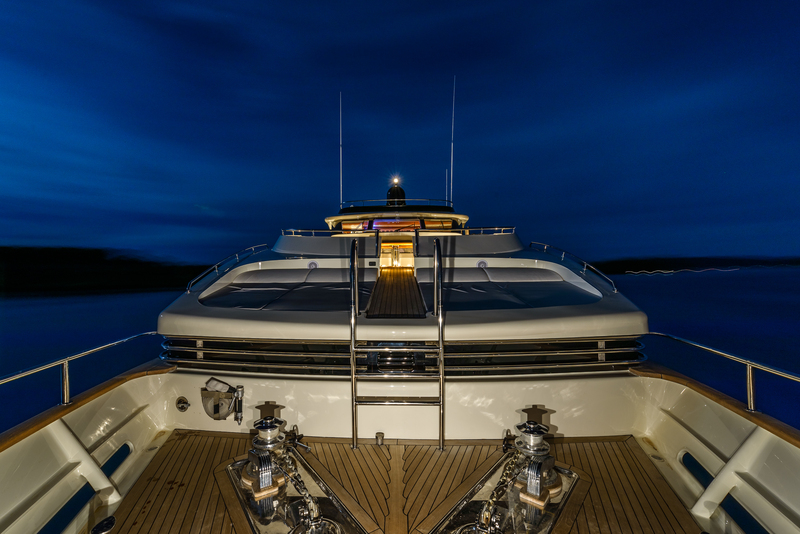 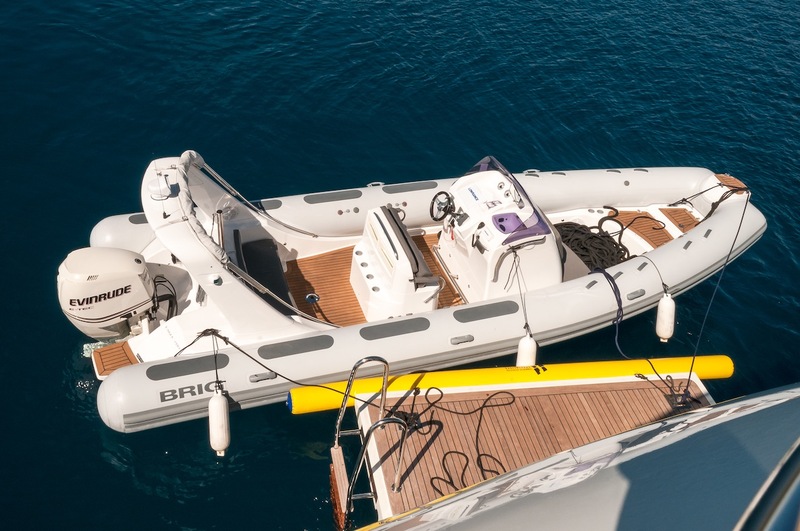 For the more active in the group, the NOVELA motor yacht has a wide selection of water toys on offer, all easily accessible from the full beam aft swim platform.